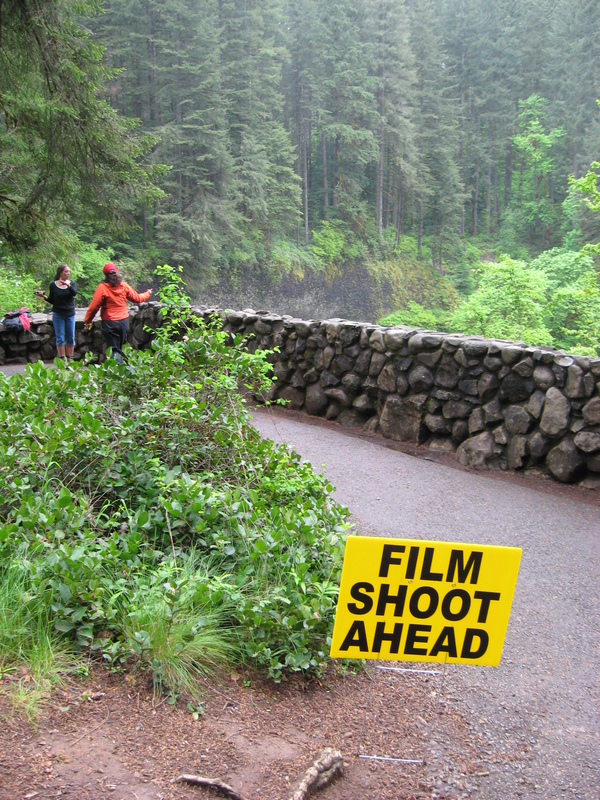 Jun - 09 | By: Oregon Film | one comment. Yogi Bear shot and completed filming on this live action 3D animated film project in New Zealand earlier this year but production needed some further shots for the opening scenes. 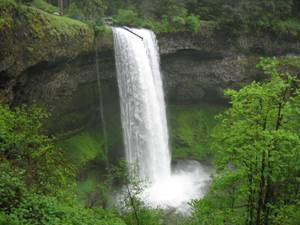 After scouting Oregon and a few other states, Silver Falls State Park was deemed dramatic and on a grand enough scale to easily portray Jellystone Park. 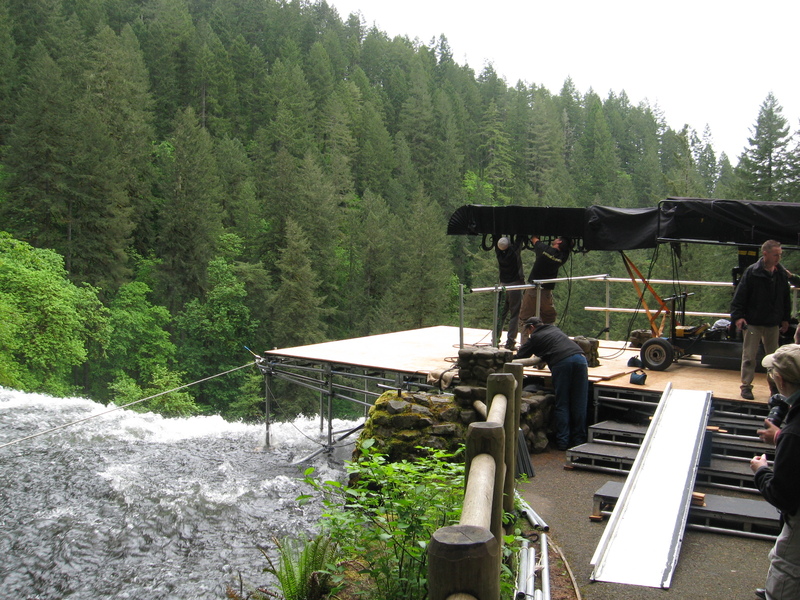 A 50 foot technocrane (the same one used in Twilight to shoot Edward’s “sparkle scene”) was brought into the park and placed on the strategic and cleverly rigged platform at the lip of South Falls. Location Manager, Beth Melnick, reported that the Production was, “extremely pleased with the work of our local grip crew, who were instrumental in getting the shot they came here to get”. 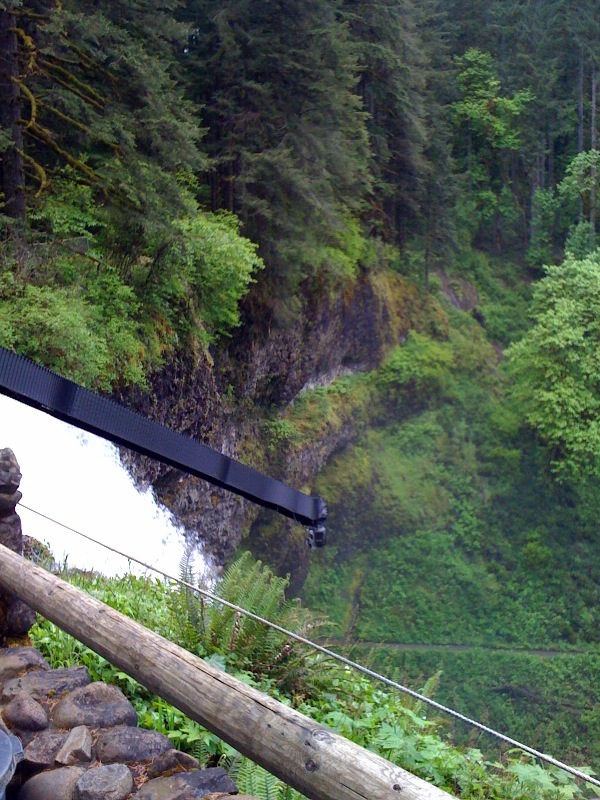 The rangers and managers at Silver Falls State Park were integral to enable these scenes to be shot in the park with such efficiency. The production paid for a Marion County prison crew of ten men to be on site working in the state park for three days on projects that otherwise would not have been completed until fall. They also provided money for a park volunteer to act as an interpreter to interface with park visitors who were interested in the production activity over the four days of set up and shooting at the falls. Yogi Bear will be released later this year (Warner Bros. Pictures) and stars Dan Aykroyd, Anna Faris, Tom Cavanagh, T.J. Miller, Andrew Daly and was directed by Eric Brevig.